High-throughput transcriptome sequencing identifies candidate genetic modifiers of vulnerability to fetal alcohol spectrum disorders. Dr. Smith’s laboratory studies the molecular mechanisms by which dietary components affect prenatal development. Current work largely focuses upon ethanol and how it causes fetal alcohol syndrome. We are interested in how alcohol damages the embryo and fetus, and in the environmental and genetic factors that attenuate or heighten alcohols neurotoxicity. First described in 1968, Fetal Alcohol Spectrum Disorders (FASD) remain a leading known cause of neurodevelopmental impairment in the U.S. Our work examines the molecular mechanism by which alcohol causes the specific neurobehavioral and craniofacial dysmorphologies that typify FASD. Our research has identified much of the intracellular signaling pathway initiated by ethanol to trigger the apoptotic elimination of craniofacial precursors, a population known as the neural crest. These signals involve the G protein / inositide phosphate-mediated release of intracellular calcium stores, which in turn activate calcium signals including CaMKII, and the subsequent loss of nuclear ?-catenin, which is an important trophic factor for neural crest survival. We have identified two closely related chick embryo strains whose neural crest populations differ greatly in their sensitivity to ethanol-induced apoptosis. We have initiated molecular analysis to identify gene sequences that may confer sensitivity or resistance to ethanols neurotoxicity. We have also become very interested in maternal nutritional factors that modulate fetal sensitivity to alcohol. We have recently shown that a subclinical maternal iron inadequacy greatly exacerbates alcohols damage to the cerebellum and to cerebellum-dependent learning. Joshua received his B.S. in Biology in May of 2016 from High Point University in High Point, NC. His undergraduate research focused on the phylogenetic differences of parasitic wasps in the piedmont area. His previous work at the NRI consisted of assisting the research of the Ideraabdullah lab during the summer of 2015. 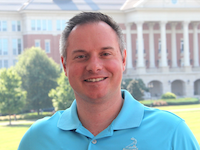 He joined the NRI in September 2016 where he currently assists the Smith lab with their research of ethanol and the impacts it has upon fetal neurological growth and development. George Flentke received his Ph.D. in Biochemistry from the University of Wisconsin-Madison, where his dissertation focused on the structure and catalytic activity of the enzyme UDP-galactose-4-epimerase, which is crucial for galactose metabolism. His postdoctoral research in Biochemistry and Pharmacology at Tufts University / New England Medical School focused on the design of inhibitors of dipeptidyl peptidase enzymes, which control immune function and HIV infection. After returning to UW-Madison he continued working with the immunosupressives cyclosporine and rapamycin. 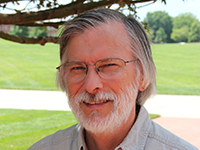 He is an experienced enzymologist/protein chemist and synthetic organic chemist. Currently, he manages Dr. Smith’s lab, where he investigates the mechanism by which alcohol alters ribosomal signaling and mTOR activity in alcohol-exposed neural crest. 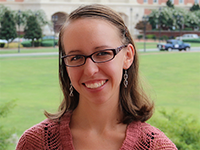 Kaylee Helfrich joined the NRI as a doctoral student in nutrition in August 2016. She completed her BS degree in Biochemistry at Clemson University in December 2015. Her research focused on signaling mechanisms that controlled energy expenditure in plants. Kaylee works with Dr. Susan Smith to research prenatal alcohol exposure and its interaction with iron metabolism in the mother and infant. Cecilia received her PhD in molecular nutrition from Cornell University. Her dissertation project focused on the effect of maternal choline supplementation during mouse pregnancy on placental function and offspring development. While at Cornell University, Cecilia also completed the dietetic internship and is currently certified as a Registered Dietitian. 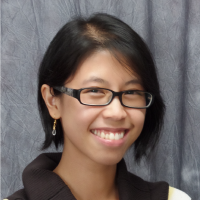 Cecilia joined the NRI in the fall of 2017 to work with Dr. Smith where she will conduct studies examining how maternal nutritional status interacts with alcohol consumption to modulate placental development and offspring health. This understanding will facilitate the development of dietary interventions to improve outcomes in children who are prenatally exposed to alcohol. Brandon received his B.S. in Biology in August of 2018 from the College of Charleston in Charleston, SC. His undergraduate research focused on investigating long non-coding RNAs in translation and ubiquitin-mediated proteolysis. Before that he was in the US Air Force from January 2007 to January 2016. 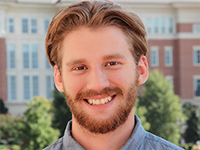 Brandon joined the NRI in August 2018 where he currently assists the Smith lab with their research of ethanol and the impacts it has upon fetal neurological growth and development. 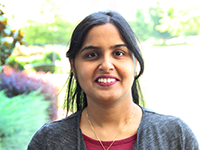 Nipun Saini joined the NRI in the summer of 2017 for her second postdoctoral position and will be working with Dr. Smith on fetal alcohol syndrome. She completed her PhD. in Biochemistry from University of Nebraska-Lincoln, where her dissertation was focused on the characterization of inhibitors of fatty acid transport protein-2 in cell and animal models to reduce obesity, lipotoxicity and related diseases. 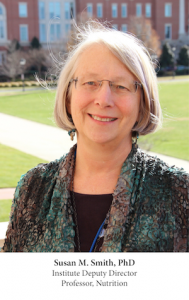 After earning her PhD, she moved to the North Carolina Research Campus as a postdoctoral research fellow in the Department of Biological and Biomedical Sciences at North Carolina Central University and worked on understanding the mechanism of microRNA-mediated regulation in metformin treated breast cancer cells.